No summer meal is complete without pasta salad! 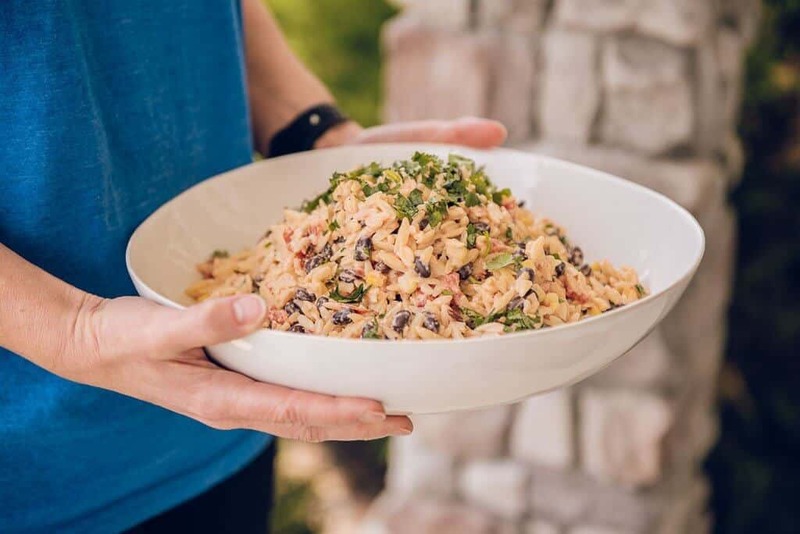 Whether you’re headed to a holiday BBQ or just a family dinner, this Southwest Pasta Salad will be the perfect addition to any meal! I think one of my favorite things about pasta salad isn’t so much about originally serving it with a meal, but what I really go nuts for is having the leftovers. 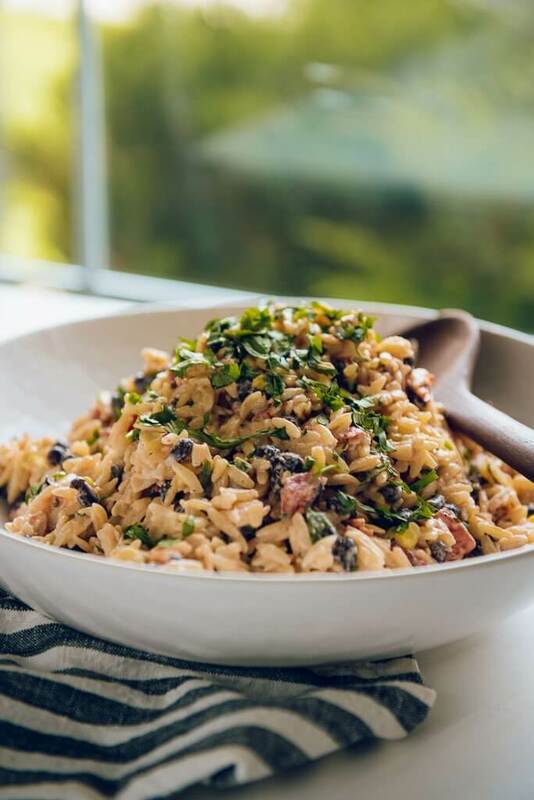 Is there anything better than having a tasty, hearty pasta salad in the fridge ready to go as a side for any meal, as a main dish with a little added protein like chicken or shrimp, or even as a quick snack when you get in from a busy summer day. In the heat of summer, sometimes a hot dinner is the last thing on your mind, so setting out some cold cuts, pasta salad and chips can make for the most fantastically satisfying meal. 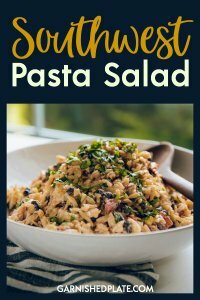 This Southwest Pasta Salad is one of my family favorites and goes a long way to taking your next BBQ to a new level of tasty! Is orzo pasta or rice? Show up at any gathering with this and be the hit of the party!! What goes into a pasta salad like this? I find this to be the perfect blend of fresh taste and convenience. Canned tomatoes and beans as well as frozen corn keep it simple and greek yogurt and sour cream give it that tangy fresh flavor! No summer meal is complete without pasta salad! 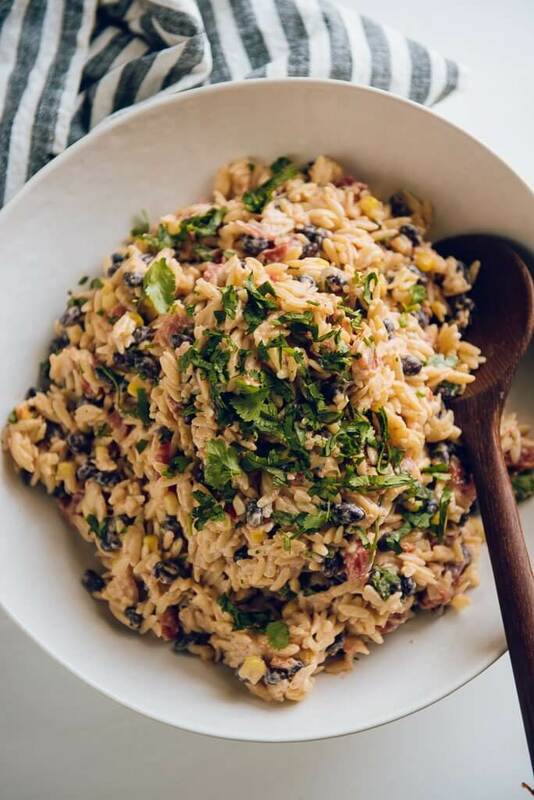 Whether you're headed to a holiday BBQ or just a family dinner, this Southwest Pasta Salad will be the perfect addition to any meal! Wonderful pasta salad, Jennifer! I'm convinced that it will be the hit on any party. I love especially the addition of fire-roasted diced tomatoes. Not sure if I can get this in my region though?! Mmmm. I love orzo! So happy it's available in whole wheat now too. I'm looking forward to trying your recipe! This salad looks so delicious and colorul! Perfect for any get-together too.. I have a picnic potluck coming up this weekend.. can't wait to try it!